If this legacy device is still a valuable asset then your probably going to want to keep it around. Although you do need to keep in mind it tends to be a little bit more work to set up then something new,it still tends to be easier then if you need to implement an entirely new hardware platform. · For printers, network cards, modems, and other devices that can be detected mechanically, choose Search For And Install The Hardware Automatically (Recommended). After you click Next, the wizard quickly runs a detection module that searches for anything on its list of non–Plug and Play devices. If it finds the new device, it installs the driver automatically, and your work is finished. If the wizard doesn’t find any new hardware, you’ll be prompted to click Next and look manually. 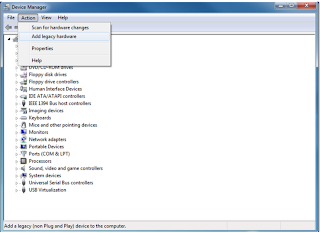 · If you have a driver on a disc, skip the detection process. Choose Install The Hardware That I Manually Select From A List (Advanced) and click Next.